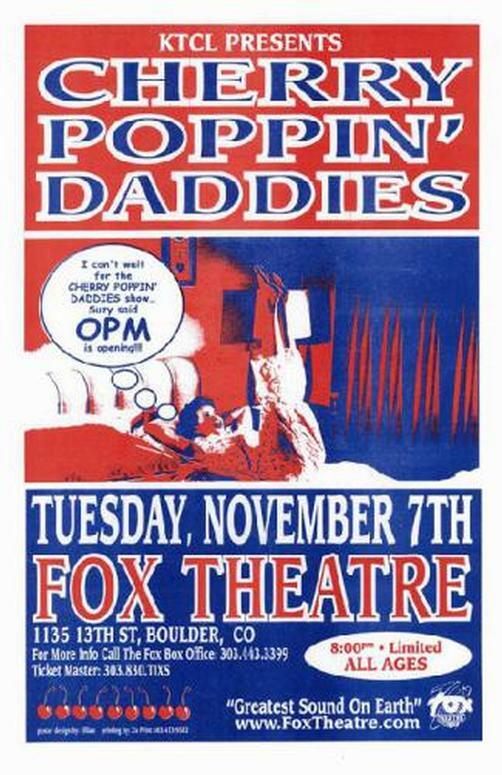 Original concert Poster for The Cherry Poppin Daddies from the Fox Theater in Boulder Colorado in 1995. VERY RARE!! 11 x 17 inches on thin paper.